Ciao Salon's experienced stylists are not just your hair stylists, they are part of your personal support team. Each stylist focuses on enhancing your self image by helping you look and feel your best. We will provide you with a personalized beauty consultation, help you identify the look and feel that best suits your needs and wants, and then work with you to design a menu of services to achieve your desired style. Our success is measured by your satisfaction. During the course of our services, we can recommend specific hair products that you can use to maintain your look after you leave Ciao. 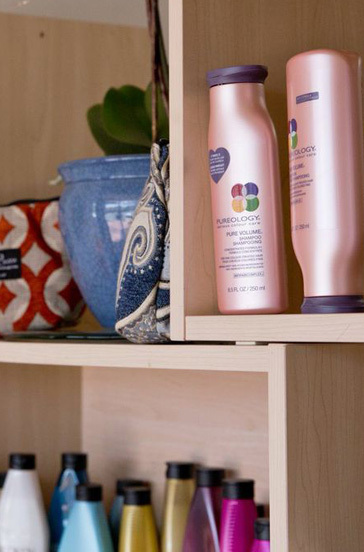 We carry a variety of these products, including Redken, Rusk, Pureology, TiGi Curls Rock, and Paul Mitchell. We would be happy to help you select the products that will work best for you.